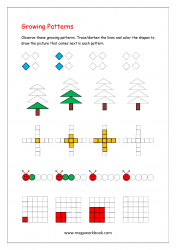 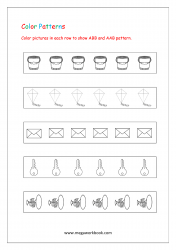 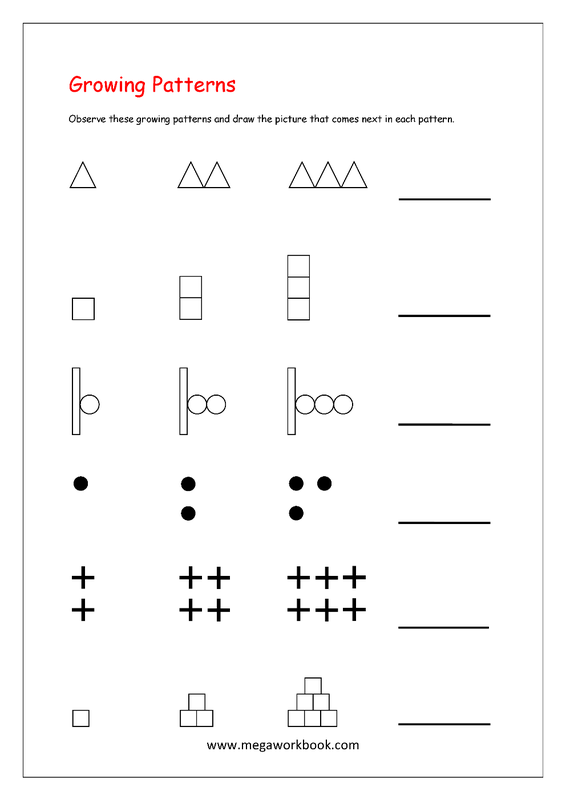 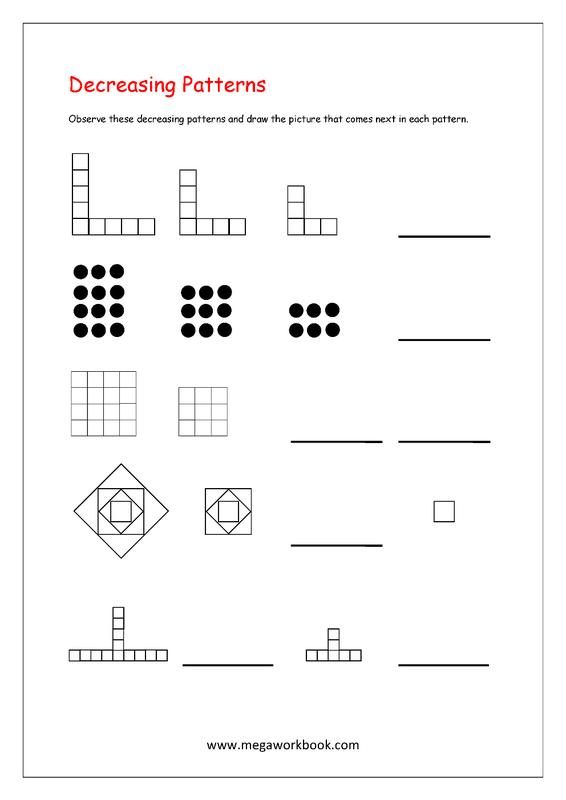 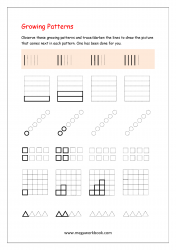 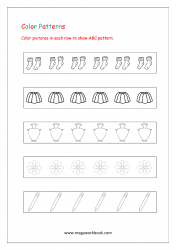 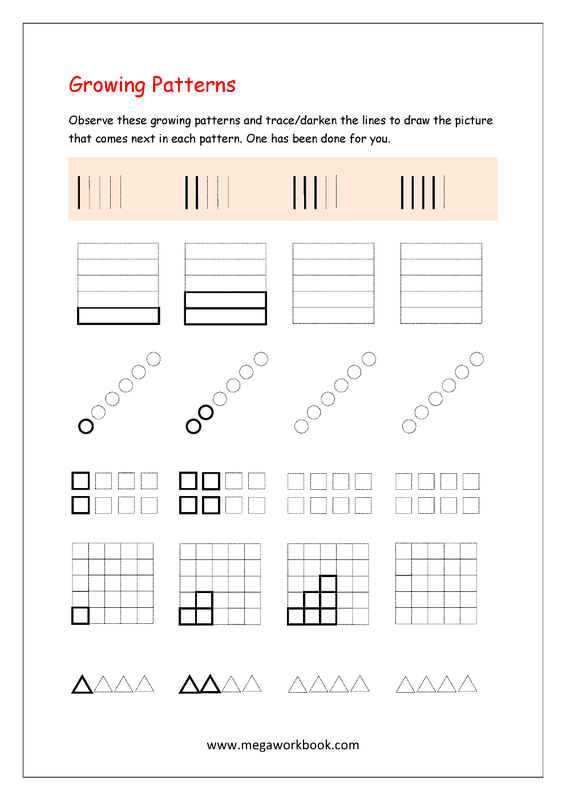 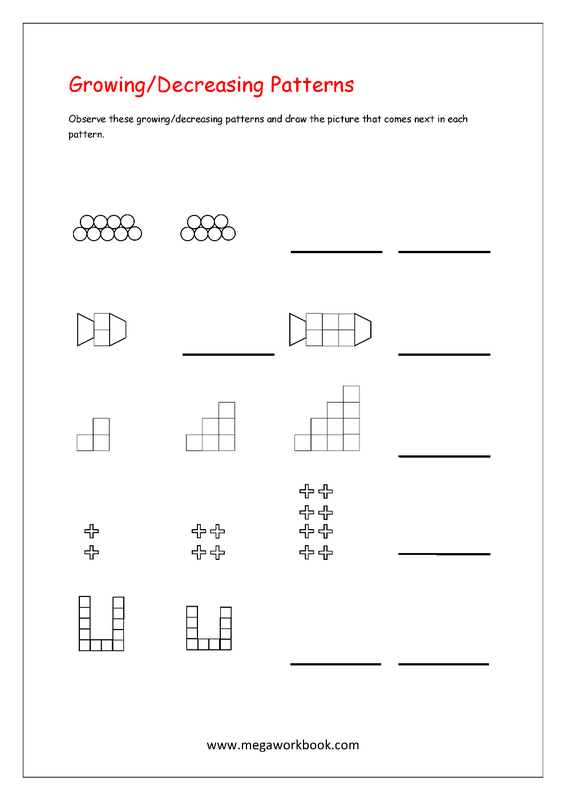 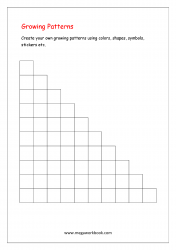 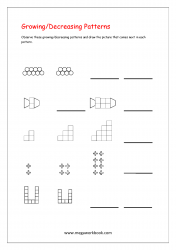 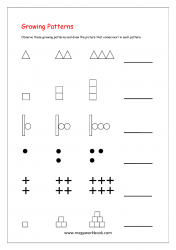 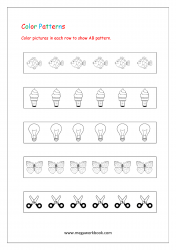 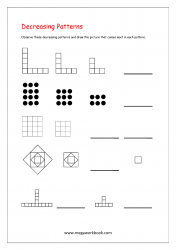 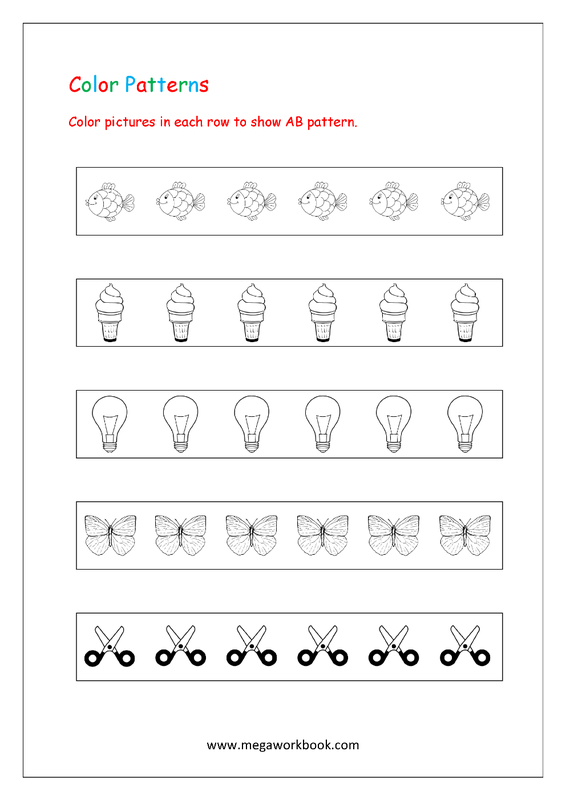 These Pattern Recognition Worksheets help develop higher-order thinking skills (HOTS) in children. 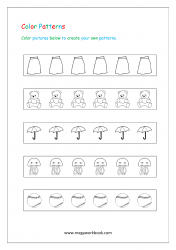 Various types of repeating and growing/decreasing patterns has been used to stimulate logical thinking for preschool as well as kindergarten. 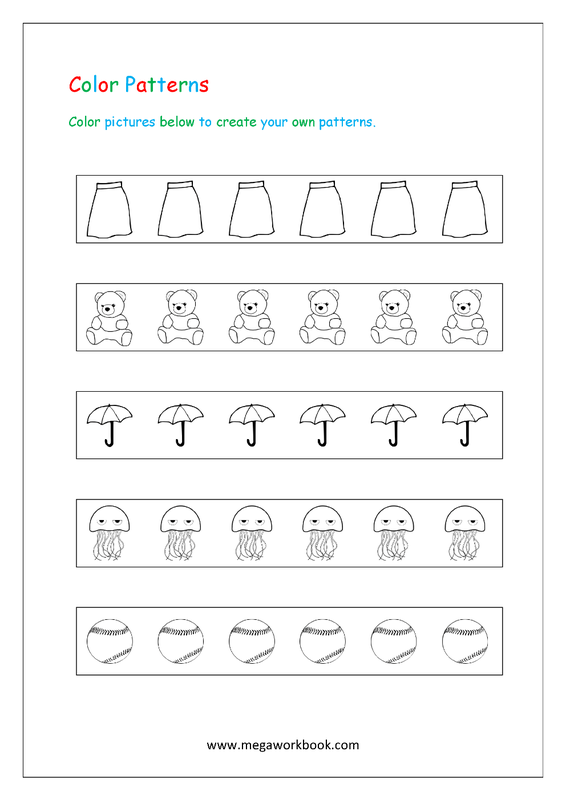 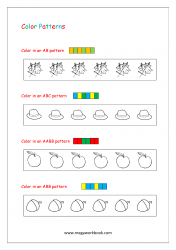 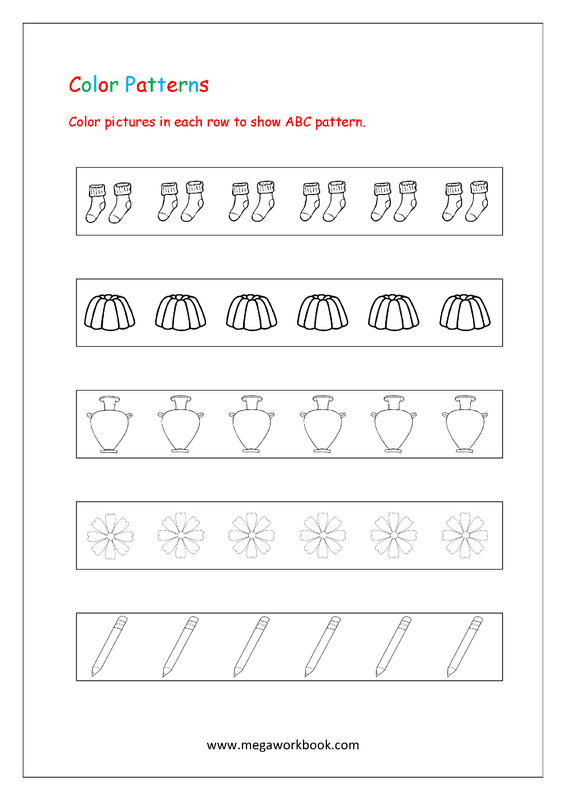 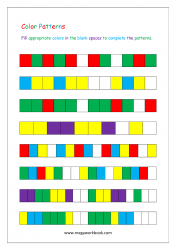 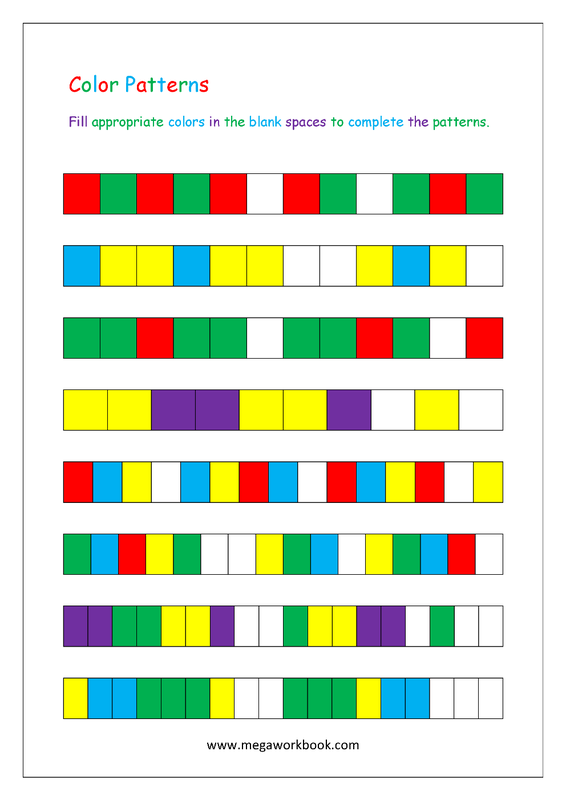 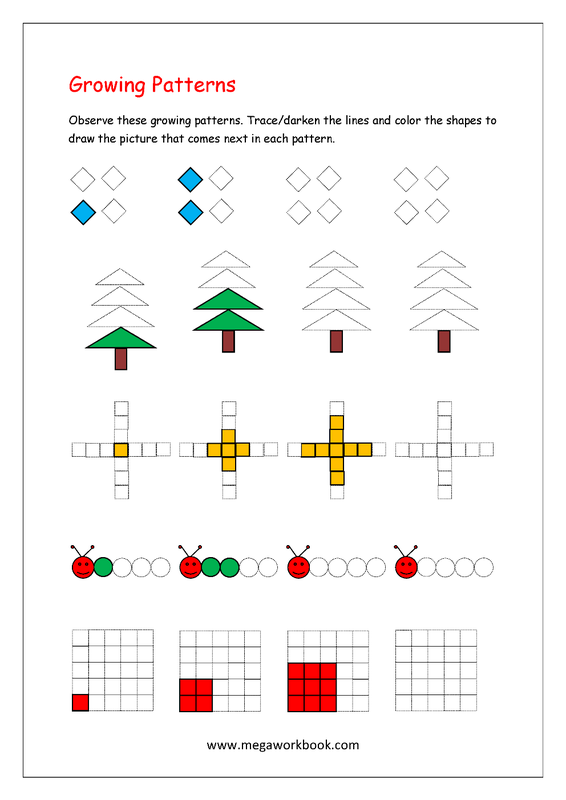 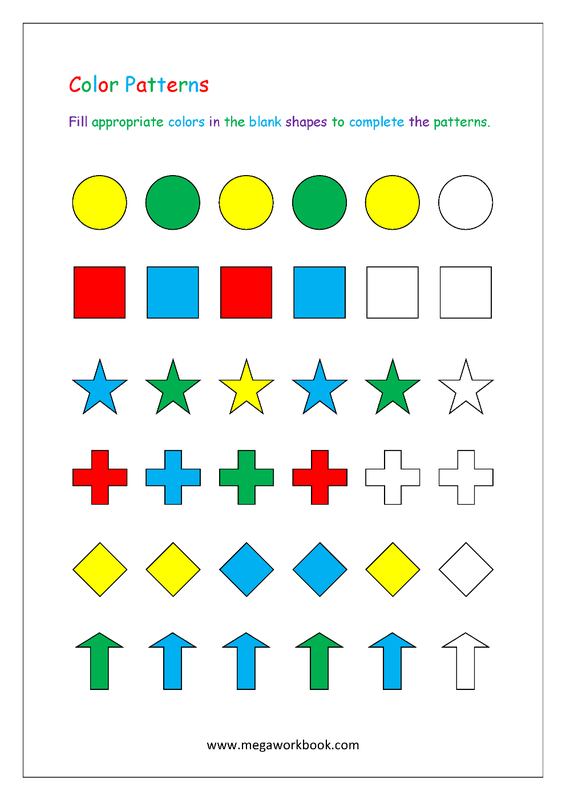 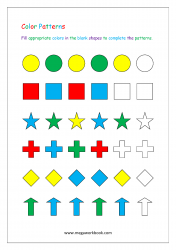 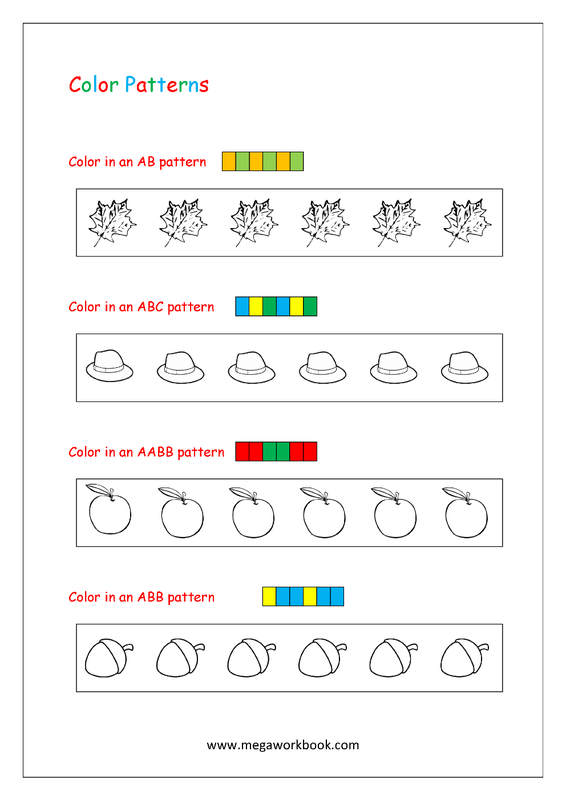 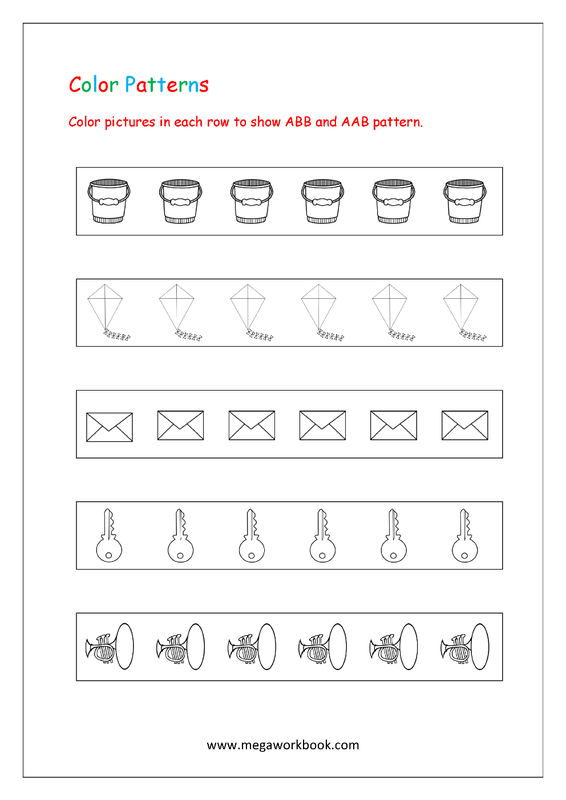 Fill appropriate colors in the blank objects to complete the repeating patterns like AB, ABC, AABB, AAB etc. 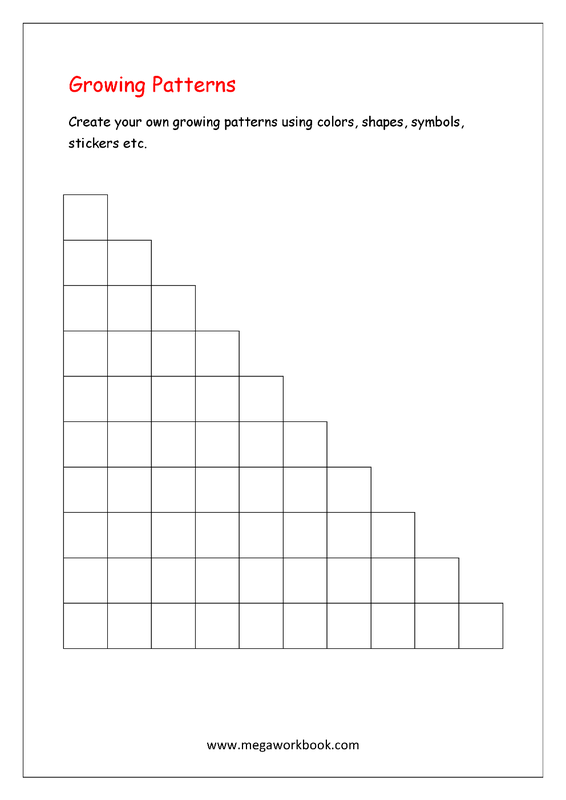 Observe the growing or decreasing patterns and draw the picture that comes next in each pattern.